Abington, Acton, Acushnet, Andover, Arlington, Ashland, Assonet, Attleboro, Auburn, Auburndale, Avon, Bedford, Bellingham, Belmont, Berkley, Boston, Bourne, Braintree, Bridgewater, Brighton, Brockton, Brookline, Burlington, Buzzards Bay (Bourne), Canton, Carlisle, Carver, Charlestown, Chelsea, Chestnut Hill, Cohasset, Concord, Dartmouth, Dedham, Dighton, Dorchester, Dover, Easton, Elmwood, Everett, Fairhaven, Fall River, Foxboro, Framingham, Franklin, Freetown, Halifax, Hanover, Hanson, Hingham, Holbrook, Holliston, Hudson, Hull, Hyde Park, Jamaica Plain, Kingston, Lakeville, Lexington, Lincoln, Lynnfield, Malden, Mansfield, Marblehead, Marion, Marshfield, Marlborough, Mattapan, Mattapoisett, Maynard, Medfield, Medford, Medway, Melrose, Methuen, and Middleborough Mass. Why is that our company has grown so quickly and added so many new customers to our base? 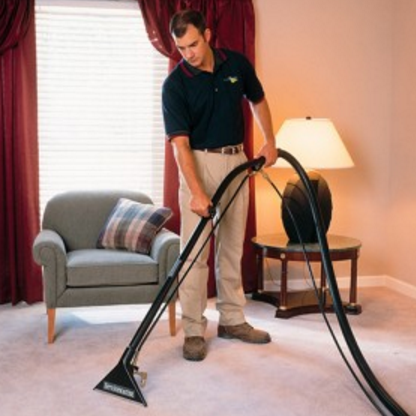 ServiceMaster is a pioneer in advanced carpet cleaning techniques that have continuously met or exceeded the expectations of our customers over the years. We have earned a position of trust and unexcelled excellence and continue to improve our service with innovative approaches. Both homeowners and businesses take advantage of the many options we offer. Not content to rest on our laurels, ServiceMaster has expanded our Residential & Commercial Carpet Cleaning plus Restoration and Odor Removal Services of North Easton MA to include a number of related cleaning services that have been enthusiastically received by many homeowners and business owners through our state. We feel confident that once you have been introduced to these services, you too might share in that enthusiasm. As previously noted, our coverage continues to expand into Sagamore, Salem, Scituate, Seekonk, Sharon, Somerset, Somerville, Stoughton, Sudbury, Swampscott, Swansea, Taunton, Waban, Wakefield, Walpole, Waltham, Wareham, Watertown, Wayland, Wellesley, West Bridgewater, West Roxbury, Weston, Westport, Westwood, Weymouth, Whitman and Wollaston and beyond. ServiceMaster has been cleaning carpets for over a half century or 350 dog years. Any way you figure it, it’s a long time. We have developed and continue to improve our methods. 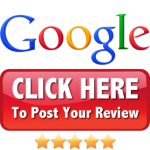 There are many differences in our approach that sets us apart from the competition and add up to the best carpet cleaning service in the state. ServiceMaster Carpet Care offers experience, knowledge, advanced techniques, advanced technology, safe and effective products and employees with winning attitudes who put our customers first. A clean house and clean business add up to happy clients. That is how we build our business. Service Master will have your tile and grout looking like new. You know how bright and shiny your teeth feel after a dentist cleans and polishes them. When ServiceMaster cleans your kitchen tile and your filthy grout, your floor will look like your newly cleaned teeth. You and your floor will be smiling at each other. You won’t believe how bright and clean your tired tile floor and grout will turn out. Friends will compliment your “new” floor. We promise not to tell. P.S. Can you imagine all the crud and germs your grout absorbs over time? You don’t want to know. BTW -ServiceMaster can even recolor your old grout for an updated look. FYI, ServiceMaster can safely clean even the softest, most delicate floor tiles including ceramic, porcelain, travertine marble and limestone. Our cleaning methods are safe for tile floors of all types, including ceramic, porcelain, travertine and limestone, including kitchen countertops, and more. Why replace when we can restore? You know what a men’s locker room can smell like after a heated game. When ServiceMaster completes their Just Gone application, the stink has simply “Just Gone”, forever. The facility is fresh and ready for use. This incredible product eliminates odors by killing the dangerous bacteria that cause them. Up until now, we’ve discussed routine maintenance projects homeowners and business face. But often more serious problems occur that require more substantial responses. Service Master has you covered with our state of the art Water, Fire and Smoke Damage Restoration programs. At ServiceMaster of Plymouth County, we understand that water, smoke and fire damage emergencies are impossible to predict. In fact, most damages will occur when you least expect them. That’s why we are there for you ready to help with your water, smoke and fire damage problem. Many times you are struck with a water flooding or water damage issue including flooding, broken pipes, washing machines, leakage and overflows from water heaters, refrigerators, roof leaks, dishwashers, sewer backups, and more. Smoke Damage can leave a lasting and sometimes hazardous effect. Once the fire is out, the smoke smell remains. We can help alleviate that odor and deodorize your heat and air ducts. Fire damage can devastate your home and contents and leave you only with ashes and sorrowful memories ServiceMaster of Plymouth County can help. Storms can cause water damage as can receding tidal waves, hurricanes, sewer back-ups and toilet overflows.